A friendly, elderly couple who are an artist and a sculptor are seeking a Sharer for their home to give them a mix of 15 hours’ help and company each week in exchange for the low-cost accommodation. 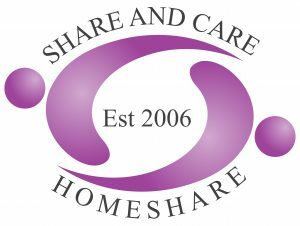 This person would really benefit from some practical help around the house including cooking regular meals and helping with household chores plus the reassurance of having someone around their home in the evenings/overnight. The Sharer would have use of asingle bedroom, furnished with a single bed, ample wardrobes and a sofa, and a bathroom with separate shower which would be for the Sharers sole use unless guests are staying. The property is in located just off the A47, 8 miles from Stanford, 9 miles from Oakham. There is off street parking, and it would suit a car driver. The couple enjoy listening to Radio 4, codewords and puzzles, scrabble and art and sculpture. The ideal Sharer will be friendly and reliable (male preferred), who ideally shares some of the person’s interests.Please note NO ANIMALS allowed. If you are interested, please email a little information about yourself, your hours of availability, if you can commit for at least a year, and why you are interested in, and think you may be suitable for, this share. We can then give you more details about this specific situation.